Chef Simon has cooked at many of Melbourne's best restaurants throughout his culinary journey, including Donovans and The Windsor Hotel. Living and working for two years in London expanded his European influences while working at the renowned Harrod's of Knightsbridge in London. 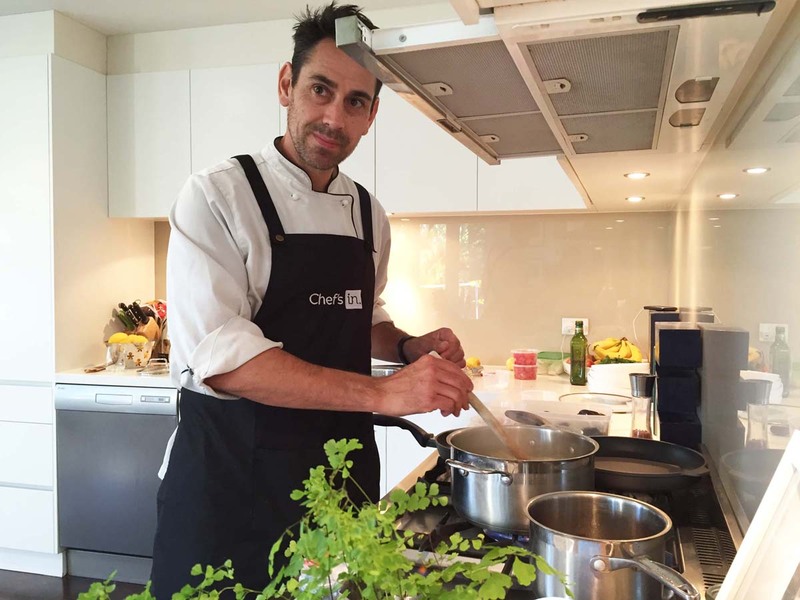 With his new experiences and cuisine influences, Chef Simon established himself as a private Chef in Melbourne so he could continue exploring different cuisine and catering for a range of clients from corporates to families. Chef Simon was very approachable and easy to deal with. His food for our event was very good and appropriate for a daytime event. The food was fabulous and the flexibility with dishes was greatly appreciated. All of my guests absolutely loved the food. Chef Simon and his team were fantastic, providing us with exceptional food and service, taking all the stress out of the night for me. And to top it off they left our kitchen spotless at the end of the night. We had the most memorable time for Chris’s 50th Birthday at Wiggley Bottom Farm and Chef Simon was the icing on the "birthday cake”! Thank you to you for arranging and to Simon for working on such a fantastic and delicious menu….the Chocolate mousse dessert was divine!! But honestly everything was perfect, the starters, I had wasabi dusted calamari and it was so soft, so fresh, and I didn’t think it was going to get better than that, but then the Crispy skin Salmon was perfection. The rest of the gang loved the seared Duck breast and Lamb two ways. Overall we were all so impressed with the quality and the experience is well worth it! I would like to thank you greatly for Chef Simon's food, serving and company on the evening of the 5th of March. It was memorable and made for a very enjoyable evening. All food provided was of 5-star quality and I would highly recommend him for any dinner party. Simon was fantastic and the food delicious. I was very happy that Intertain could work within my budget. I would highly recommend the service to others. Thanks again for everything, we will have happy memories of last night for a long time to come! Intertain allowed my family and I to enjoy our parents 40th wedding anniversary together without the stresses that come with cooking for 9 people! Our chef Simon was very discreet and left our kitchen spotless afterwards. We received a high-end meal in the comfort of our own home enjoying our own wines, we would highly recommend Intertain to anyone. Experience the highest quality dishes with this Australian tastes menu. The listed menu price of $198pp is based on 6-courses for a minimum of 6 guests. Enjoy this seasonal buffet menu designed to be shared amongst guests with Chef Simon preparing and setting up all dishes for guests to serve from. The listed menu price of $88pp is based on 5 dishes for a minimum of 10 guests. Chef Simon will work with you to create the perfect menu to meet your dietary and budget preferences for your occasion. Price will be determined after the first consultation.